Ethical decision-making, and the ability to inspire those around us to engage in the same, are critical skills in the modern workplace. As companies navigate an increasingly complex business environment, including changing regulations, conflicting messages from policymakers and an impatient investor class, it is more important than ever that business leaders prioritize doing the right thing. Drawing on her work hosting a public television series about business ethics, and her investigative journalism covering some of the most controversial and fascinating business stories of the day, Kolhatkar looks at the ways that certain organizations find themselves in challenging situations and how business leaders can help create a tone at the top that brings out the most appropriate, effective, business decisions and enhances productivity at every level. Few issues are as urgent for business leaders and policymakers as the rise of short-term thinking in our economy and our politics. The need for quick results dominates our business decisions, our investing strategies, environmental policy and legislative priorities out of Washington, affecting almost every aspect of our daily lives. Short-term-ism, often driven by impatient investors, can crowd out investment in infrastructure, research and development and new areas of business. This poses new challenges for business leaders and policymakers who care about innovation and who seek to build companies and institutions that last. Drawing on her previous career as a hedge fund analyst and years covering corporate America, Silicon Valley, Wall Street and Washington at The New Yorker and beyond, Kolhatkar will discuss the ways that putting short term profits and political interests ahead of longer-term goals endangers companies, governments and societies, and share lessons she’s learned that can help organizations balance short-term pressure with longer term goals. For decades, the conventional view among economists was that technological advances create as many new jobs as they take away. In recent years, however, economists have become increasingly concerned that the pace of technological innovation has become so fast that many categories of human workers will be eliminated, without equivalent new job creation—by one estimate, nearly half of all American occupations could be automated in the next twenty years. How can companies, workers, policy makers and educators prepare for the challenges and opportunities that will come along with our automated future? The last few years has seen the rise of the Women’s Empowerment Industrial Complex, a flood of books, conferences, panel discussions and Diversity Days offering inspiration and practical advice for women about how to negotiate like men, juggle work and family and Have It All. As the discussion of women’s issues has exploded, though, women’s progress in many corners of corporate America has stalled. Women have done enough talking about the problem with one another, and now need to bring the conversation to men. Kolhatkar will introduce research showing that the rising generation of male leaders wants greater work life balance, time with their families, and less corporate face time and burnout, too—and the most successful companies are the ones adapting to address these demands. Meet some of the men driving change at their companies, making them more successful, and more equitable, for men and women alike. The last twenty-four months have broken open the conversation about discrimination and harassment in the workplace, shaking industries from finance to Silicon Valley to Washington. What does this period of reckoning have to teach us about the key to maximizing the contributions of women at work? Through specific examples and case studies based on her deep reporting on the subject of women and business, Kolhatkar will examine what the recent MeToo movement can teach companies about how to truly effect change and drive diversity, and why it is more important than ever. Sheelah Kolhatkar, a former hedge fund analyst, is a staff writer at The New Yorker, where she writes about Wall Street, Silicon Valley, technology, economics and national politics. She is also the host of “Playing By The Rules: Ethics At Work,” a national public television series that examines the challenges faced by companies undergoing high-profile ethical crises, which has been incorporated into several business school curriculums. 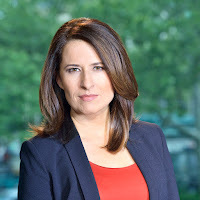 Previously, she was a features editor and national correspondent at Bloomberg Businessweek, and a regular contributor to Bloomberg Television. 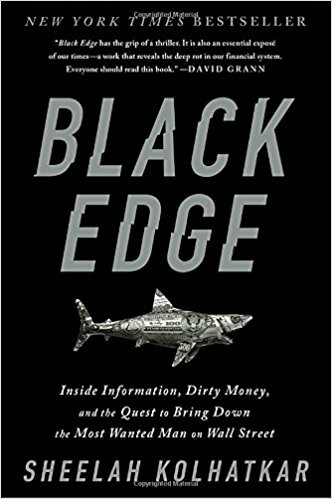 Her book Black Edge: Inside Information, Dirty Money, and the Quest to Bring Down the Most Wanted Man on Wall Street was a New York Times bestseller, a New York Times Book Critics’ Top Book of 2017, and was named one of Amazon’s Top 5 Business Books of 2017, among other honors. It takes readers inside the rise and fall of one of the world’s most powerful hedge funds and explores the way the hedge fund industry helped transform Wall Street and the U.S. economy. Kolhatkar has appeared as a commentator on business and economic issues on CNBC, MSNBC, PBS, CBS, NPR and contributes regularly to NPR’s Marketplace and WNYC’s Money Talking. She has given talks, moderated panels and conducted interviews at numerous live events, including The New Yorker Festival, the United Nations, Advertising Week, the Women’s Innovation Forum and the Business for Social Responsibility Conference. Her written work has also appeared in The Atlantic, The New York Times, The New York Times Book Review, Time, New York Magazine and other publications.